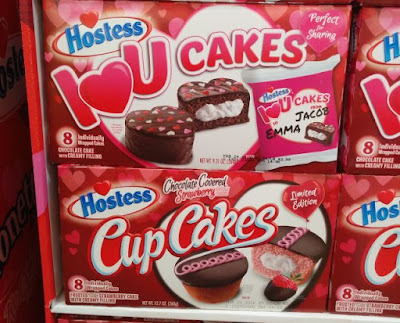 Hostess goes big for Valentine's Day this year with five limited-time snack-sized desserts including new Chocolate Covered Strawberry CupCakes. The new cupcakes features pink strawberry cupcakes with creme filling, decorated with chocolaty frosting and a pink squiggle. 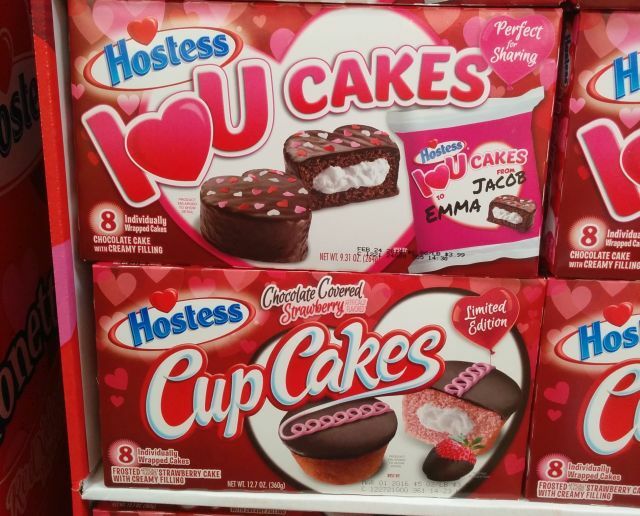 - I Heart U Cakes - Heart-shaped chocolate cakes with a vanilla creme filling with a chocolaty coating. - Pink SnoBalls - A creme-filled chocolate cake covered in marshmallow and pink shaved coconut topping (basically regular SnoBalls but pink rather than white). - Dark Chocolate Covered Raspberry CupCakes - These are only available at Target and are like the Chocolate Covered Strawberry ones except with a raspberry-flavored cake. 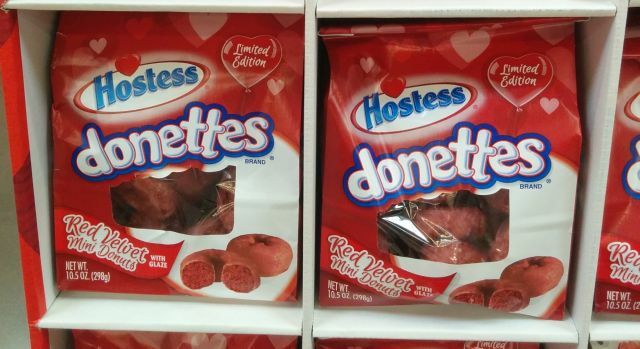 Hostess' Valentine's Day line up is available at grocery stores nationwide through the end of February 2016.